The Audio-Processors from Illusonic surpass the limitations of stereophonic music reproduction ! No other devices create such a realistic soundstage in the whole listening room. for stereo and surround recordings. We demonstrate a 5.1-channel setup. Stereo-recordings are upmixed to 5.1 channels. Compared with the original 2-channel reproduction the benefit becomes evident. 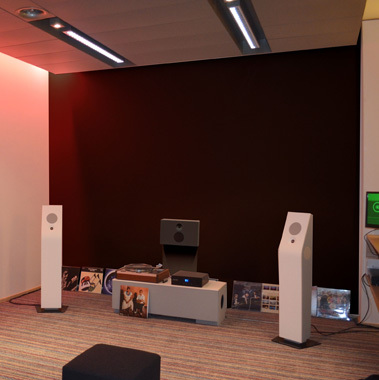 Klangwerk manufactures the ideal loudspeakers, to integrate more than two channels elegantly in a living space: music reproduction at the highest level !